Create your password and confirm your email address. At the top of the page click “API Tokens” to retrieve your production access tokens. You will need the public token and Private token. Its important to note that there are 2 sets of keys and 2 modes at Taxamo. There is a test key and a live key. And there is a Live Mode and and a Test Mode. By default and until you complete all of the steps below, your account will be in Test mode and you are required to use the Test key. Once you complete the steps below and enable live mode, enter the Live key. 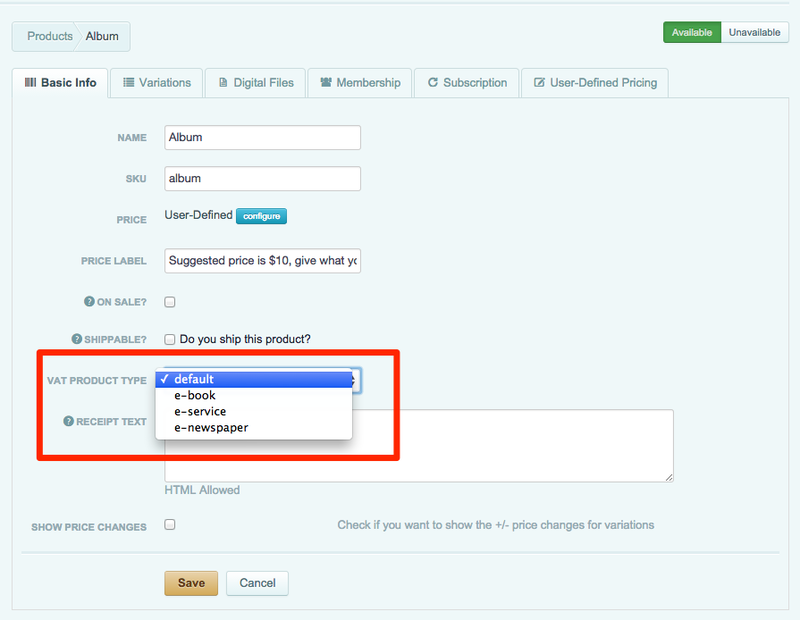 On the product admin page there is a new option to specify the *product type under each product as seen here http://cl.ly/ZQ8A. Be sure to complete this step for each product in your store that this applies to. 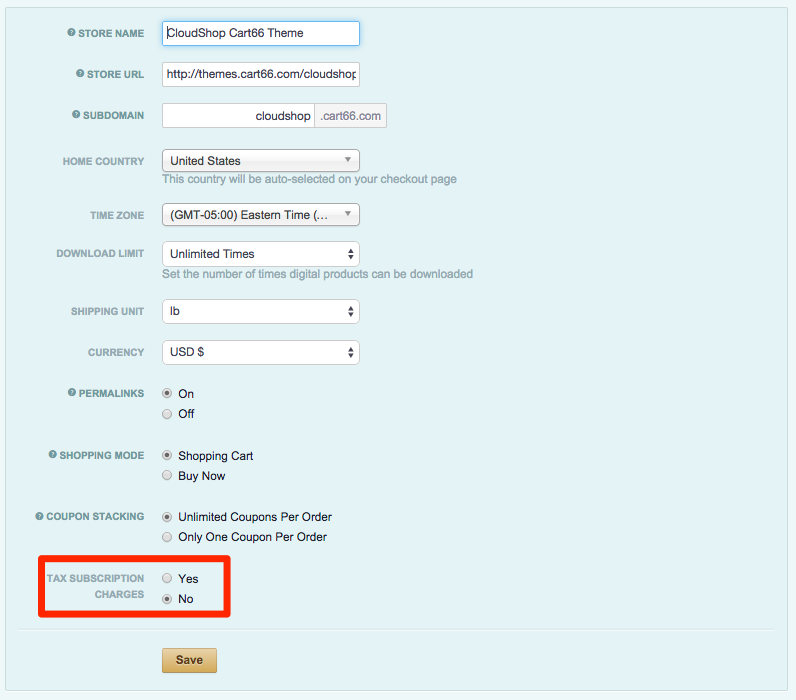 Be sure to check that box if you want to collect taxes on subscription charges. Once you complete the above steps there are a few more steps Taxamo you need to complete. Once you complete the above steps be sure to put Taxamo into Live mode by enabling it in the top left hand corner of your Taxamo Dashboard. If you have any questions or concerns please open a support ticket with your details.